Cape Coral homes for sale in the MLS. Results include pictures, details and features. Find your Florida new home today. Foreclosed homes for sale in Cape Coral, FL. Save up to 50% on foreclosure properties. Cape Coral homes for sale in the MLS, the system real estate agents use to find the most comprehensive and current home listings available. Results include Cape Coral real estate listings, pictures, details and features. Find Cape Coral real estate for sale. The following real estate agents and realtors on HomeGain present their Cape Coral real estate listings. Click the link next to each agent's name to view Cape Coral real estate for sale, complete with thumbnails and details. Below are homes for sale in Cape Coral, FL. Use advanced search to narrow your Cape Coral, FL home search results by radius, number of bedrooms, and minimum and maximum price. Find your Cape Coral, FL dream home in minutes with up-to-date home listings from REALTORS® and Homegain partners like The Real Estate Book, Point2 Agent, Homes and Land Magazine, and NewHomeSource. Enter your criteria below to view results. View Cape Coral real estate listings, search Cape Coral home prices to check home values in Cape Coral, FL, find Cape Coral Realtors and try the Home Sale Maximizer home improvement tool on HomeGain to see top home improvement recommendations that will increase your property values in Cape Coral, FL. Founded in 1965, Cape Coral, located in Lee County, is the largest city in southwest Florida, with a population over 165,000. The city is part of the greater Cape Coral-Ft Myers metro area, which has over 600,000 residents. It is one of the fastest growing areas in Florida, just 90 minutes south of Sarasota. Over 60% of the population is between the ages of 15 and 64. Over 70% of Cape Coral's residents own their homes. Because of Cape Coral many canals, there are many waterfront houses and boaters. Areas to live in Cape Coral include Caloosahatchee, Pelican, Trafalgar, Burnt Store, Hancock, Diplomat, Mariner, and Jacaranda. The city is home to 15 acre family-friendly Sun Splash Family Water Park, a favorite with residents and visitors alike. Search Matlacha Isles homes for sale to view current real estate listings, find Matlacha Isles real estate for sale in the MLS, and check Matlacha Isles home prices, including recent home sales and nearby sales. Search Matlacha homes for sale to view current real estate listings, find Matlacha real estate for sale in the MLS, and check Matlacha home prices, including recent home sales and nearby sales. 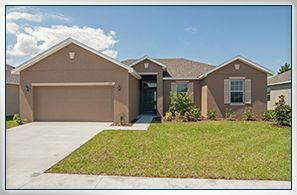 Search Cape Coral South homes for sale to view current real estate listings, find Cape Coral South real estate for sale in the MLS, and check Cape Coral South home prices, including recent home sales and nearby sales.